I came across this wonderful project the other day. 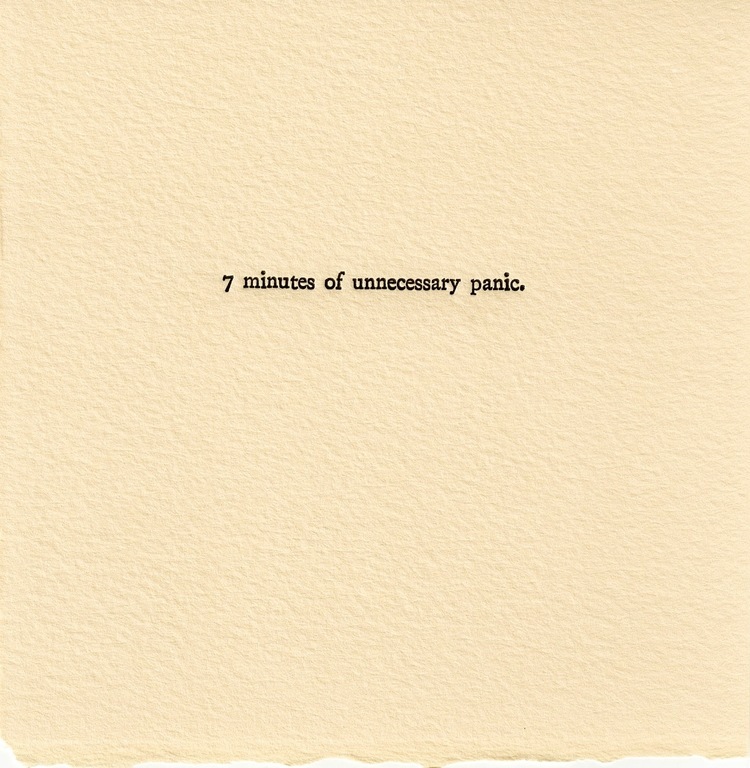 From 2009 to 2012, Portland-artist Alyson Provax tracked time that she felt was wasted, and memorialized each moment on a letterpress card. 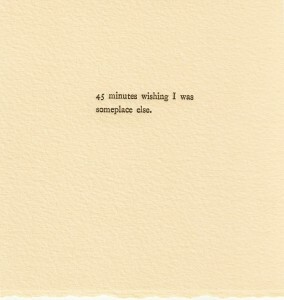 I love the way she documents our habits of self-sabotage and distraction in a gentle non-judgmental way. My husband thought it was a lovely but strange wedding gift. On the one hand, there was the photo — black marks of bomb impacts on the ground. On the other hand, there was the refined lacquer container, subtly inlaid with mother of pearl, a reminder of my father’s simple and exquisite taste. Devastation and beauty. Horror and happiness. After years of observing my father, however, I didn’t see it as strange at all. Intense maybe, but not — in the out-of-character sort of way — strange. 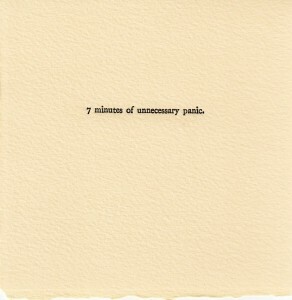 In the months and years after our wedding, I kept going back to that box. It seemed, in that manner of certain keepsakes, to offer some basic truth: life is a paradox, a combination of contrasting elements. Do we not all have a box somewhere? The box that goes by different names — identity, the past, childhood — but which speaks to our emotional inheritance? 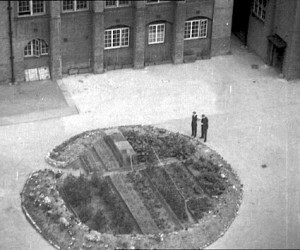 Image: Garden at Westminster Cathedral, London, created from bomb crater, 1942. Writing does not come naturally to me. It takes intense effort. If I channelled the same effort into any other field, I might be an epidemiologist or a rocket scientist by now. 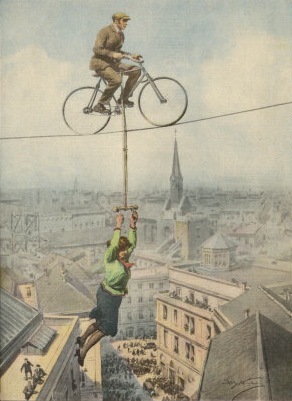 It’s inevitable for me to experience a kind of bottoming-out as I work on a book. I’m not talking about the big crises of confidence, which may lead a person to ask: Who am I? Why write? Does God exist? I’m referring to the other kind, the smaller crises I have all the time, those moments of negative epiphany when I start putting the story I’ve been carrying around in my head (the scenes that seemed so profound and beautiful) onto the page and I feel heartbroken because it’s so unbelievably terrible. Happiness, disappointment, triumph, defeat, I cannot count the number of times I’ve experienced the whole gamut in a day. The challenge is to embrace disequilibrium, remembering that all of it—the whole tempestuous writing life, with all its fickle crests and troughs—is something chosen and ultimately loved.